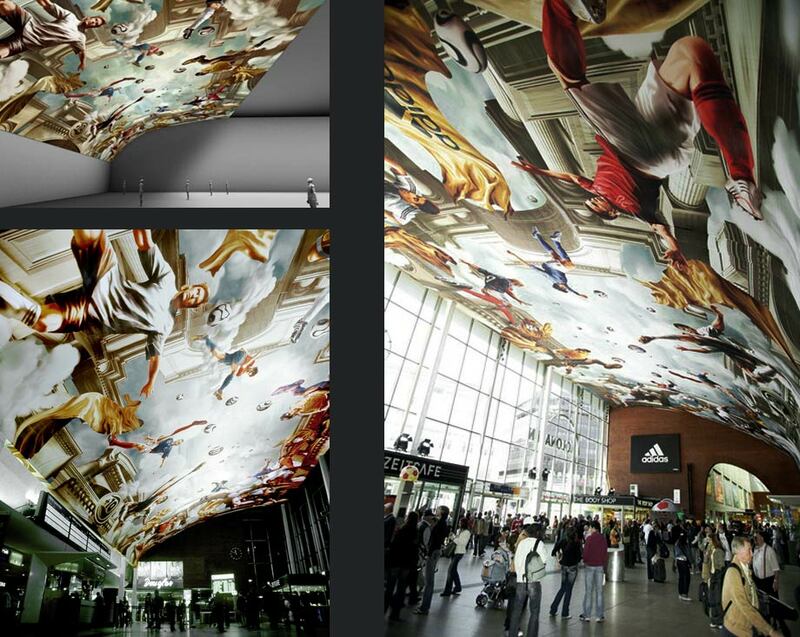 next to Cologne Cathedral, measures a colossal 40 x 20.5 m.
of that in the Sistine Chapel, the viewers seem tiny. The era of illusionistic ceiling frescos spans more than a quarter of a millennium — from the High Renaissance to the Rococo period. 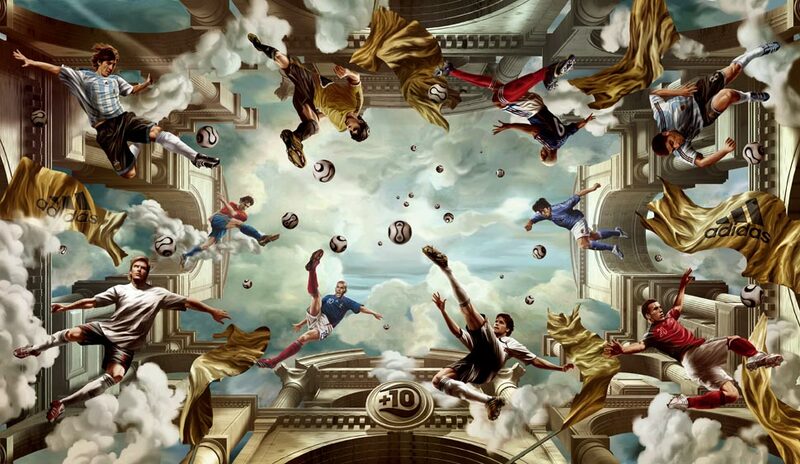 The World Cup fresco was to become a „Best Of“ of the genre's various stylistic epochs. 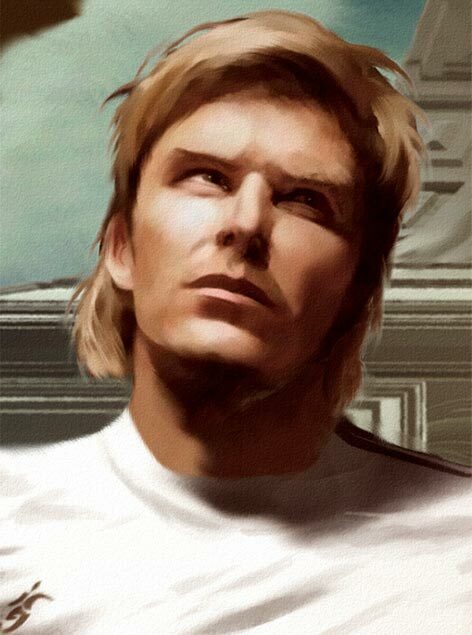 To compile suitable stylistic features, a first test-illustration of a player was created and viewed within the context of different examples from art history. A trial proof in the final size was produced to check the resolution, the color settings and other technical properties. The trial proof measured less than one-tenth of the complete picture — but was still impressively large. Spread in the agency's courtyard, it gave a first impression of the fresco's dimensions. 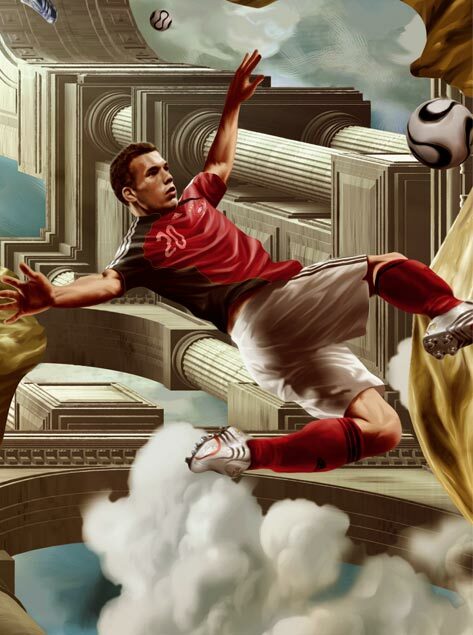 Against a first, rough version of the background, different poses, positions and scalings of the players were tried out. e.g. that no seams would end up running through the players’ faces. to the accompanying sounds of a baroque chamber orchestra dressed in football outfits. 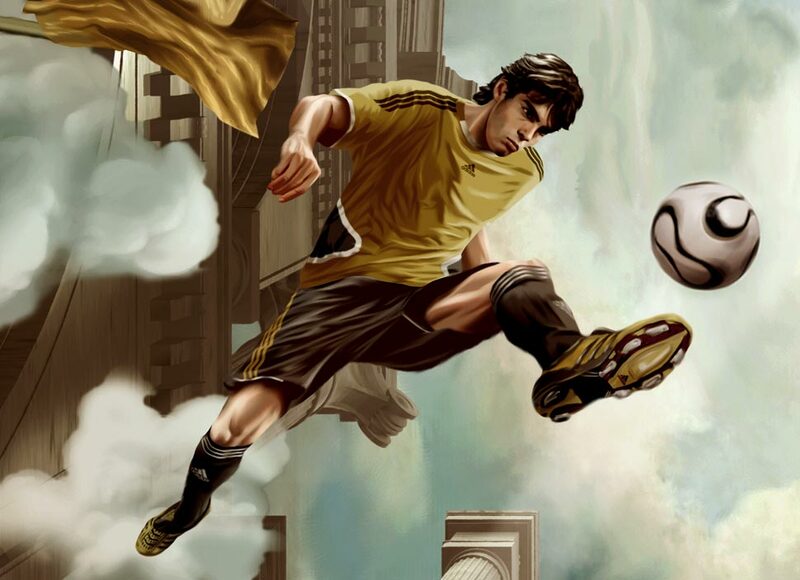 The fresco was on national TV only five minutes after it had been revealed and received press coverage during the full course of the World Cup. More than 8.5 million people visited the landmark advertising site and many more saw it across all media around the world.